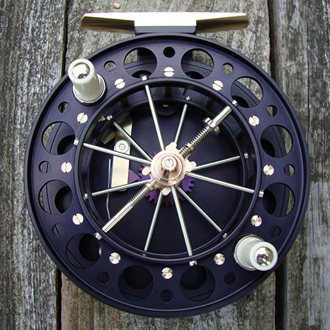 Hand crafted, custom built centrepin reels. 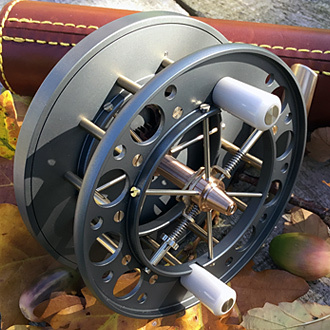 There is something very special about fishing with a centrepin reel. The contact you have is fluid and everything feels much more immediate. 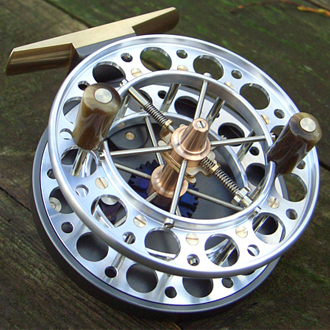 Fishing with a centrepin offers far better presentation and a truly exhilarating experience when playing a fish. 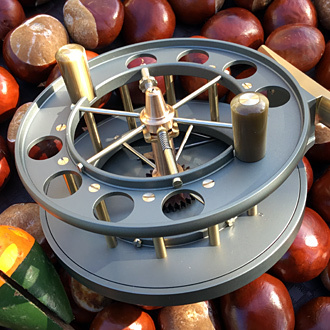 Whether trotting for Roach or Grayling on an English stream, touch ledgering for Barbel or stalking big Carp in the margins, a centrepin reel with transform your fishing. 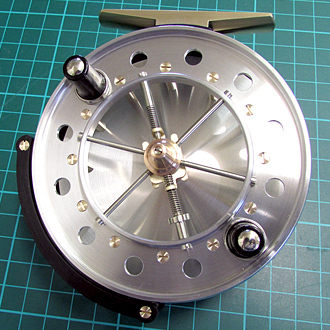 I currently make a range of 10 different patterns, mostly 12 spoke, from single ventilated to multi-ventilated. 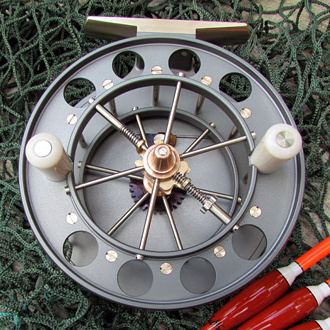 Sizes range from 3 1/2 ” diameter to 4 1/2″ diameter and vary in width from 3/4″ to 11/8″. Just add water and enjoy your fishing!